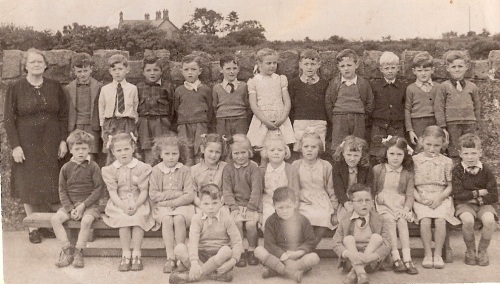 Nefyn Primary School, Miss Jones Glandwr Class circa 1948. Thanks to Hefina Yates for this photograph. 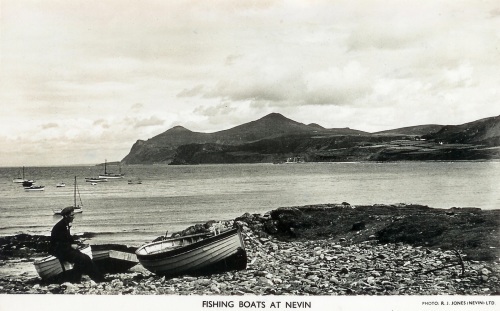 Fisherman Lawrence Owen sitting on a rowing boat at the old slipway on Nefyn Beach. The boat in the forefront was called "Norgi". 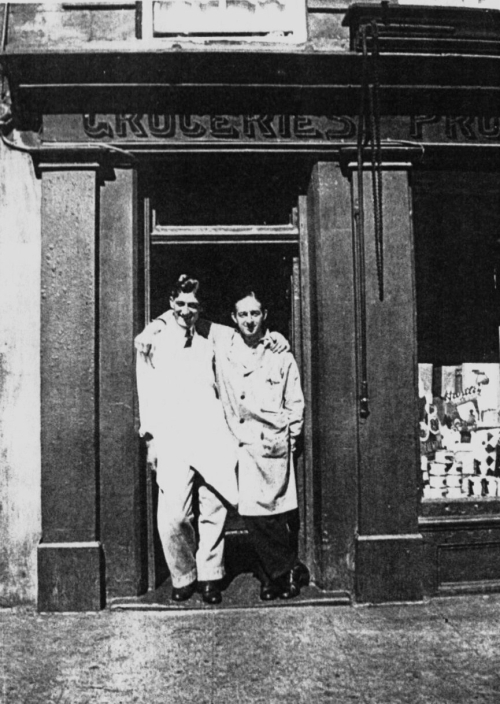 Richard Owen Jones master butcher Glynllifon and Humphrey Evans owner of the ironmonagers Shop Newydd, High Street. 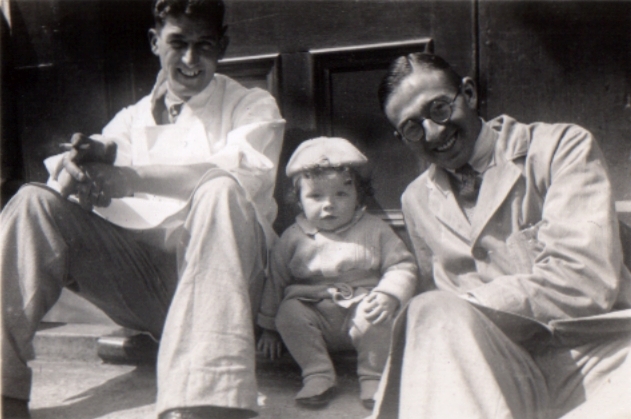 Richard Owen Jones, Humphrey Evans and the little boy is Glyn Owen Cemlyn.